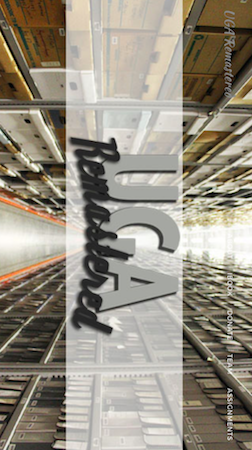 The University of Georgia Special Collections Library specializes in preserving rare historical material. The collections are housed in both the Hargrett Rare Book and Manuscript Library and the Richard B. Russell Library for Political Research and Studies. For the UGA Remastered project, we focused on the Emmy winning Walter J. Brown Media Archives and Peabody Awards Collection. Founded in 1995, the collection contains over 300,000 titles, including film, video, audiotape, transcription disks, and other recording formats. There are over 15 collections housed in the library with archives dating back to the 1920s. This 30,000 square foot vault contains 24 rows of shelves that are over 32 feet tall. For optimal preservation, the vault is temperature controlled and only accessible to staff.